Reuters News Agency partners with Newsflare. London, November 2018: Reuters, the world’s largest international multimedia news provider, has announced that it is further expanding its content offering to Reuters News Agency customers through a partnership with Newsflare, a leading provider of eyewitness and trending video. The Newsflare partnership brings media customers access to breaking news and trending videos shot by the public around the world, adding a new dimension to Reuters third-party content offering. 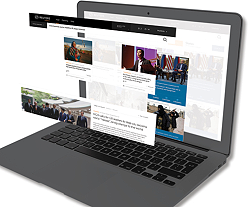 Newsflare adds to a growing list of third-party content partners available to Reuters News Agency customers via Reuters Connect, allowing subscribers to find and utilize a wide variety of content from multiple sources on a single, easy-to-use platform. Other partners include BBC, USA TODAY Sports, Accuweather, Variety, WENN, Red Bull Media House, Hollywood TV and more. Newsflare is available to Reuters News Agency customers on Reuters Connect.